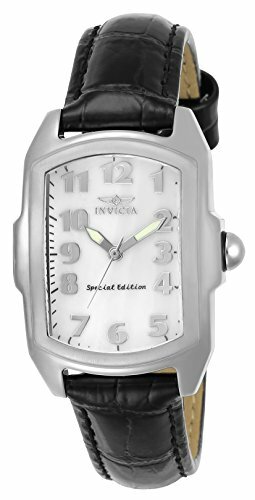 Invicta Watches are made in the US. The company is based in Hollywood but not the one with celebrities. The Invicta Headquarters is based in Hollywood, Florida. The Invicta Brand started out in Switzerland in 1837 and then in 1991, a US based company bought Invicta and relocated the corporate office to Florida. Even their customer service call center is based out of Florida. With mother's day almost upon us, I got to thinking about things I would like - A bit late, I know but well, better late than never. These Invicta Watches really took my fancy. 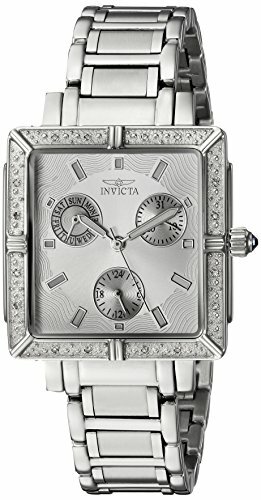 This Invicta Square Angel Watch is tasteful and even though the face of the watch looks large online, It sits pretty on wrists, whatever the size. The bracelet will probably require adjustment to get it to the size that works for you. This can be done yourself with a watch repair kit, the Invicta sizing tool or take it into a jeweller or department store and get them to adjust the strap for you. It is exceedingly durable and well made and it suits daily use or elegant evening wear. 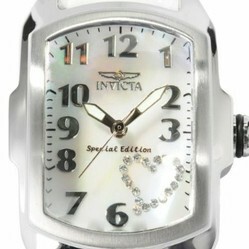 The Invicta Square Angel Watch is lovely. This Invicta Round faced watch measures about 1.5 inches across the middle - Not too large and not too small, just the right size for most wrists. 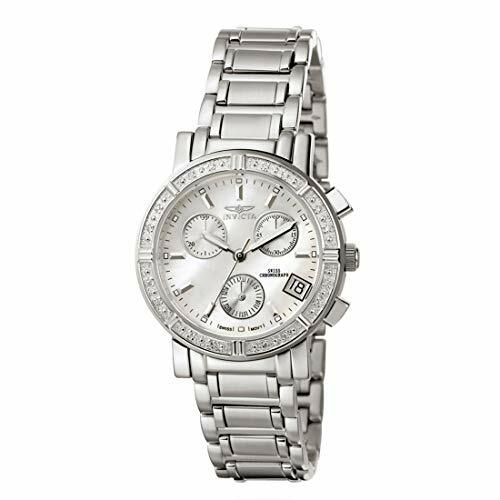 It is also another very solid example of an invicta Watch, made specially for ladies. The bracelet that comes with the watch measures about 7.5 inches so bigger than most wrists. There is however an Invicta sizing tool to help you get the bracelet to the right size for your wrist. When adjusting, leave enough room to fit a finger between the bracelet and your wrist to help with undoing the clasp. This is one of the biggest problems people tend to have with this Invicta Watch - undoing the clasp. It gets easier with practice. This Invicta Watch dial is made of Mother-of-pearl, also known as Nacre. It is the pearly internal layer of certain mollusk shells which is used as a decorative item. It also comes with interchangeable straps so you should be able to find one that suits what you are wearing each day. This watch has a full clock face, all the numbers are clearly written out. It can be heavy so it has a solid feel about it and yet it remains feminine. 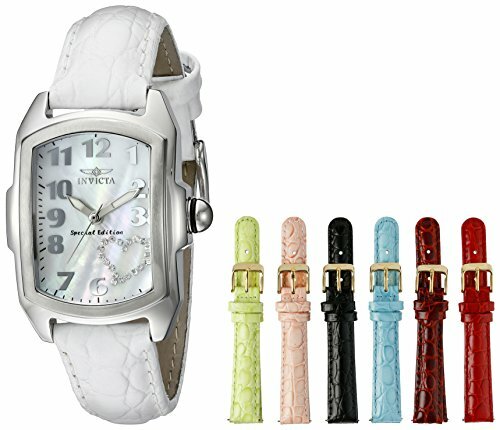 I just had to add this Invicta Watch on, at the end here, as I love the colors of the interchangeable straps. The face on this watch is 1 inch at its longest and has a heart on the watch face missing out a couple of the numbers. It is a great gift for any discerning lady. Invicta have managed to produce a number of very interesting looking watches. They are dressy and yet can also be worn on a daily basis. The Invicta Watches for women are definitely up to the challenge of daily use so go on, get one for yourself or for a cherished one. The Invicta Watch will be adored. Little girls and pretty wrist watches are a perfect match.